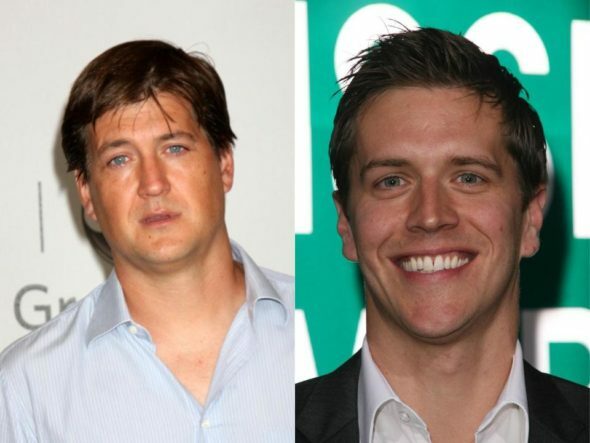 Deadline reports NBC has given a production commitment to Adam Sztykiel and Bill Lawrence’s Spaced Out TV series pilot. The duo collaborated on Undateable, which was cancelled in May, after three seasons on NBC. Creator Sztykiel is writing and executive producing with Lawrence, of Scrubs and Cougar Town fame. The project hails from his Doozer label at Warner Bros. Television. Doozer’s Jeff Ingold is also executive producing the commercial space travel comedy. 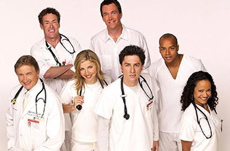 Scrubs was cancelled by NBC after seven seasons in 2008, without a true series finale. Because the show was produced by ABC Studios, ABC picked up the eighth season, afforded Lawrence the opportunity to craft a proper sendoff, and even renewed the sitcom for a final season, although the original series cast had mostly moved on. Zach Braff and company returned for those episodes they could, as the new class of interns took over Sacred Heart Hospital and the series. 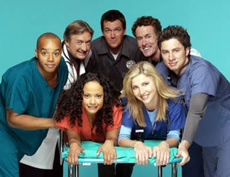 It would prove the show’s last season, as Scrubs was ultimately cancelled in 2010, after its ninth season. Lawrence’s Cougar Town TV series, starring Courteney Cox as well as his wife, Scrubs‘ vet Christa Miller, followed a similar if shorter path. Cougar Town premiered on ABC in 2009, but was cancelled after three seasons. TBS picked it up and it ran for three more seasons. The cable outlet renewed Cougar Town for a sixth and final season of 13 episodes in 2013. According to the Deadline report Spaced Out will — like Scrubs and Spin City (which Lawrence co-created with Gary David Goldberg) — be a single camera workplace comedy. What do you think? How do you like the sound of the Spaced Out TV show pilot? Does it sound like a show you would watch? More about: NBC TV shows: canceled or renewed?, Scrubs, Scrubs: canceled or renewed?, Spaced Out, Spaced Out: canceled or renewed?, Spin City, Undateable, Undateable: canceled or renewed?